Each of our 5-pack comes with 5 leaflettes, with 3.5 grams of premium cannabis flower. Each of our Collectors Tin comes with 7 leaflettes, with 5 grams of premium cannabis flower. Quick. Easy. On the go. Singles. Each single leaflette, comes with 0.7 grams of premium cannabis flower. Our biodegradable filters were specifically designed to enhance both the mouth feel and increase airflow for a dramatically smoother and easier draw. Filters also remove potentially harmful solids like tar. Sativa Flowers with high notes Limonene and Pinene presence, complimented with Humulene. Want a kick of good, positive energy with no amped up frenzy? Our excite blend delivers just the right amount of fuel to get you going any way you want. Hybrid Balance – Flowers with high notes of Myrcene and Humulene content, complimented with minor Caryophellene, Linalool, and Limonene. Kick back with Chill, a thoughtful blend that transitions you into a relaxing sweet spot. Think of this as your own personal happy hour – a golden moment in your day. Flowers high in Pinene and Caryophellene, complimented with Limonene. Out 4:1 blend is to create a harmonic balance of THC and CBD to calm anxiety, increase concentration and unleash your creativity. Designed to stimulate your mind and overcome mental blocks. The blend heightens awareness and increases energy for productive brainstorming. Unleash your inner artist and Create! Flowers with high Humulene and Myrcene, complimented with Caryophellene and Pinene. Calm Anxiety, relax muscles and relieve pain and inflammation with CBD – a soothing cannabinoid rich blend that evokes a blissful Zen-like calm. Flowers high in Myrcene and Caryophellene complimented with some Humulene and Pinene. This blend is perfect for managing acute aches, chronic pain, and full body relaxation. The balanced blend ensures a relaxed body and a calm, tranquil mind. Balanced Flower strains high in Caryophellene and Humulene, complimented with Myrcene and Limonene. With a moderate presence of CBD to counteract any anxiety and ease you into the mood. Awaken your passion and heighten your sensual experience. This blend is designed to boost libido, improve blood flow, and increase sensation throughout your body. If you’ve come looking for sleeping bliss, the Dream is for you. This soothing blend calms your mind and relaxes your body for a deep refreshing slumber. 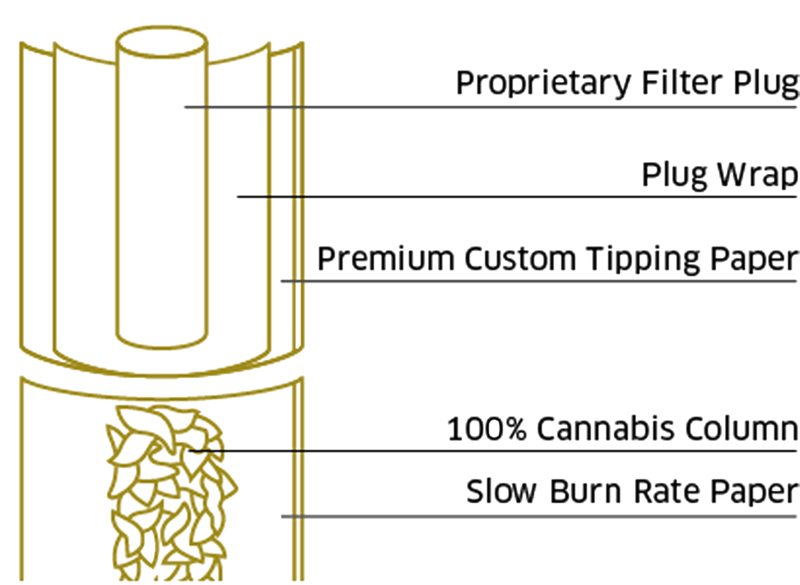 Our proprietary filters increase airflow for a dramatically smooth and easy draw. They also remove potentially harmful solids like tar. And no worries, they’re nothing like regular cigarette filters. They enhance the experience, not detract from it. At Coast, we believe that the ideal experience is all about balance and precision, not excess. That’s why we carefully curate each blend of cannabinoids and terpene profiles to deliver a casual, smoother, and more controlled dose that helps ease you into your comfort zone. Instead of relying on a single cannabis strain, we curate our custom blends with precision–carefully balancing terpene profiles and cannabinoid content to gently deliver the elevated, yet mindful effect you want. about our company and all of our activities! Coast sources all of our products by partnering with local, Northern California farmers who grow sustainable, pesticide-free crops.